WP-Lister Pro for eBay connects your WooCommerce shop with your eBay Store. You can select multiple products right from your products page, select a profile to apply a set of predefined options and list them all on eBay with just a few clicks. a breeze. You can list 20+ auctions in a matter of seconds. I couldn’t ask for a better way to expand and present my store on eBay. Without doubt the best plugin I have ever paid money for (or not for that matter). This saves me literally hours each and every day, it updates my stock, makes my ebay listings look pro and saves me money listing dues to the way it adds the images. I have already made my money back tenfold and I barely have to visit ebay at all now!!! Support is also very good – I discovered a minor bug, reported it to the developer and there was a stable update within a few hours! Highly Recommended! I just upgraded to PRO after using WP-Lister for a while and needing the features from PRO. The support is top notch! I’ve never had better service from any other customer support. EVER! WP Lister is an excellent plugin that does as expected and the support that goes with it, is outstanding. Paying for the pro version of the plugin is well worth it – not only for the excellent support you receive (Matt even added a new feature to the plugin on our request) but also for the time and effort that it saves. Recommended! I am shocked at how awesome your WP lister pro plugin is. I have never ever been inspired to write in and give praise about a plugin before but seriously – wow. So, so useful and awesome. THANK YOU. Saved me hours of work and paid for itself before before the listings even get a buyer. Just great. One Word – AWESOME! This plugin has saved me countless hours listing my products on ebay. A few minutes setting up this simple plugin and the pretty much one-click listing, right to ebay. While the functionality of this plugin is genius. Their SUPPORT is even better. If you have a WordPress site and list on ebay or are considering it. Don’t sit on the fence with this one. It is that good! We needed as eBay WordPress Plugin to link our existing Woocommerce store with our new eBay store. We checked a number of other products and the only one that fitted our bill was WP-Lister. We initially opted for free version but soon realised that this produce was fantastic, the technical support was even better so upgrade to the even better Pro version. We have made a couple of suggestions and the developer responded and made some of the changes within days. He even logged into our store to help with a few little teething problems we had. Brilliant product. It has saved me so much time. I used the free product as a tester and decided within a couple of hours to go for pro. Having initially trialled the Free WP Lister, within days we realised what a fantastic tool this really is and bought the pro version. We list around 5,000 products on ebay and other tools were so manual and expensive. With WP-Lister we have saved so much time and we are now able to work on building our business rather than creating listings. Also the support is second to none, we have asked for intergrations with 3rd party software, which has was done and implemented within a couple of days. Thank you again. We had a long term business on eBay, selling used laptops & computers and related parts. We decided to launch an eCommerce site to help grow the business. After an in depth research of the best solution for the integration and inventory sync challenge. We made a decision to go with Wp-Lister Pro as it provided all the elements needed in addition to the flexibility it provides. 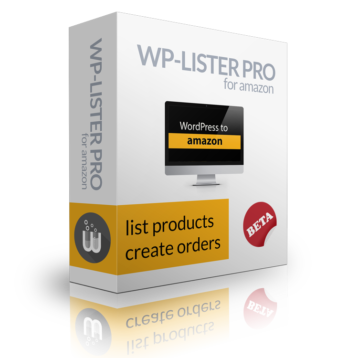 Wp-Lister Pro is a very sophisticated program that provides many options for the user, yet it is very easy to operate. Everyone talks about how great the level of support is… it is completely true and one of the best on the web. The main reasons you need support with WP-Lister is not because there are bugs, it is because each site / eBay product is different and requires a slightly different setting during the integration process. I am quite new to the websites development world and I was able to set it up with the guidance of WP-Lister support in a fairly short amount of time. I truly recommend this product if you intended to sync between an eCommerce site and eBay. I had been looking around for a while for something that would enable me to integrate my ebay store with my wordpress site and just “stumbled” across WP Lister. I have to say that I am completely thrilled with the program and it’s made a massive difference to my business already. I have now fully integrated my ebay store to my website, can easily list on both platforms and now have the facility to fully manage my stock. I am completely new to all of this – and have little web knowledge but Matt has patiently guided me through the process and given me the confidence to be able to fully utilise this program to its full potential. For anyone reading this review and looking for something like WP Lister, please buy with 100% confidence as Matt is not only extremely supportive and patient, but he is very knowledgeable and willing to help. Many thanks again Matt and good luck for everything in the future. Matt has really come through with trouble shooting our problem. He is very professional in his communication and driven to succeed. I would have no hesitation on purchasing another license if need be for our future clients. Your wordpress plugin is absolutely far better than I ever thought it was going to be and well worth the cost. I used to use Turbo Lister to list ebay items. Now I can both create them on my own site and list them on ebay quicker than using turbo lister to list on just ebay. This is a big time saving boost to my business and I thank you for the hard work you have put in to develop this plugin. One of the best plugins I’ve ever purchased! WP-Lister Pro can really save you time both in importing your shop and eventually in managing it. The learning curve is not too steep, plus Matt is incredibly knowledgeable and helpful. He will go the extra mile to make sure that your site works correctly and that you have all the tools you need to succeed in your business. I only have praise for both the plugin and the developer. If you are on Ebay and WordPress this plugin is a must. Absolutely Fabulous, one of my favourite TV shows, and that’s how I’ve described WP-Lister to Matt! Our company runs a number of websites, gifts, toys, sporting goods and few others. We’ve played around with uploading text files to eBay using file management centre to list and edit, finding it far too clumsy and prone to errors (on our part). For the last few years we’ve been using Turbo Lister which was fine but lacked the integration into our backend stock system and the ability to make eBay site wide style changes. After doing some research I came across WP-Lister, which ticked most of the boxes, we couldn’t change our current websites over to Word Press, instead started new websites and incorporated our stock system. WP-Lister has now given us complete control of our eBay listings from style to business policies, stock control and more, a great integrated system that continues to improve and outclasses other 3rd party offerings. It’s been a win win situation; the new websites we created to take advantage of WP-Lister are also generating independent sales, something Turbo Lister could never do! Matt is no Jennifer Saunders, and probably nowhere as funny, however WP-Lister is absolutely fabulous! We sell cowboy boots online and have been using WP-Lister for about a year now and couldn’t be happier. We originally installed it to sync our ebay and woocommerce inventory, but it saves time and headaches in so many other ways. Listings and revisions are fast and easy and they instantly show up on both our website and eBay store. On top of all that, Matt is VERY fast when it comes to answering questions and troubleshooting problems. This plugin in the single best investment we’ve made for our online business. This plugin is amazing! I sell on ebay and Amazon. Managing inventory across all my selling channels is a hassle. I have looked into services that practically do the same as this plugin and they are very expensive ($100 per month minimum). If you sell on eBay or Amazon, this is the plugin for you! They currently have WP-Lister for Amazon beta and Matt has help me so much to get it working. I now have my inventory sync across multiple selling channels and all for a low cost! WP Lab is the reason why I switched over from Godaddy Quick Cart to WordPress with Woocommerce. I am a user of WP Lister Pro. We sell Rims and Tyres in the Ebay-Germany. Sometimes as a newbee i had problems using some functions. But the Support-Team was always there. They help me fast, friendly! I sell Scubacool Scuba Dive Gas Tank Cylinder Covers on my website and eBay. If you have a wordpress website running woocommerce and you also sell on eBay then this plugin is for you! Simple. Very easily load your inventory into eBay in a matter of minutes thus allowing your site to be the ‘hub’ of your eCommerce business. Support is outstanding. The plugin is great. Literally the BEST money spent. Ps, get the Pro version so your images etc are all done for you. It really is worth it!! This product is amazing and worth every dollar. I thought the basic product was fantastic but the Pro version takes the cake! Has made my life so much easier in so many ways. I would highly recommend it to anyone thinking of running a website and also having their items on eBay. The automated listing and stock control is such a time saver and also ensures I don’t sell products I don’t have in stock!! The support is also top notch. I am a relative newbie to online sales and it was intuitive and very easy to use. Well done on a fabulous product. I am running this on my two sites and it is amazing. I started out with the free version and was blown away. Wanted a few more options so purchased it and am so impress I will be buying WPLister for Amazon as well. SUPER FAST support. I mean seriously, I contacted them several time because I had a few questions and they responded super fast. One time was literally withing minutes. These plugins are a must. What can I say? Well, This is the best structured, best written, most amazing plugin I have ever used for Woocommerce. The support is absolutely stellar. I had an issue with a custom setup and WP-Lister went above and beyond to help me fix my unique issue. I got a powerseller status on eBay after only 2 months of using the plugin. WP-Lister helped launch my eBay business into the stratosphere. Because of the high level of support, I have the confidence that I need to continue to use this plugin and it is the sole reason that I am staying with woo commerce as an E-commerce solution. You just can’t go wrong buying this plugin, so what are you waiting for? This plugin does everything I could ask. I have also asked several support questions (mainly due to my own lack of technical capabilities!) and received fast and really helpful, brilliant support. Excellent plugin. Worth every penny. Great plugin with a lot of parameters to fill everyone needs, customer support is fast and accurate in their answer. Love it! Excellent product. No-brainer time-saver. We ran into a bug that was hunted down and squashed and will be rolled into new release. Very happy and looking forward to continued maintenance and new features. I am a premium user. Great plugin for Ebay and Amazon – works extremely well with my Woocommerce shop thru WordPress. Support is the best I have ever had for anything to do with my website – quick, polite and professional. Saves me hours of work and my sales have gone right up with increased traffic from these 2 new sources. Have been using this plugin for over a year now and could not be happier. The listing profiles / templates make listing items a breeze. If you use the Out of Stock Control feature, restocking is as simple as adding quantity to your Woocommerce products and that is it – it relists to Amazon and eBay automatically. How could it get any better? I don’t think it could, but then again, Matt always seems to impress! Wonderful plugin, very thankful for this and WP-Lister Pro for Amazon. The time that WP-Lister has saved us makes this plugin worth the money x 10 – A+! The plug-in is great and does what is advertised. I’ve been using this and the Amazon one for about a year. It does everything you need. What I was particularly impressed with was the support. Over the year we have had two minor issues. Within an hour of my email each time, support gave me the answer I needed and helped me get everything sorted out. Thanks again! I don’t often write product reviews because I have high expectations. However, I feel that I need to say that I have been extremely impressed by WPLab. Firstly, they have an excellent product in WP-Lister for eBay at a sensible price for a small business like mine. I previously used M2E Pro (Magento plug-in) for the same purpose and was somewhat underwhelmed by the poor level of support I got from them. I have now moved across to a WordPress / Woocommerce / WP-Lister solution and I am very pleased that I did. WPLab provide both very rapid support (thanks John!) and also when required their developers (thank you Matt 🙂 ) go the extra mile to get to the bottom of the issue, which was actually caused by some poor coding in a 3rd party theme! 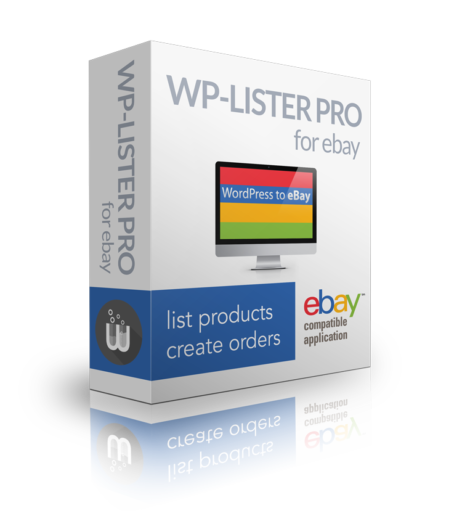 We have been using WP lister Pro for eBay for the last 4 months. What a difference it has made to us, time saving, no more selling and having to refund because we where out of stock. Had a minor hic up today, but was sorted by Matt very quickly. If you haven’t got this plug, just go and get it, it will save hours and time as we all know is money. If you’re selling on eBay and not using this on your own site then you’re missing out big time! Amazing software that makes life so much easier. Synchronises your stock between your own site and eBay, imports all eBay orders into your own site for processing. Customisable templates for listing items on eBay. List & re-list items from your own site to eBay with a click of a button. Imports any messages from eBay customers along with orders and so much more. Support from the guys at WP Lab is super. Any problems that have arisen (never anything major) have been sorted promptly. We were new to selling from our own site and had only been selling on eBay but using this software has quite literally added 30% to our sales in the first 6 months. Best bit of software we have ever bought and for the price it’s an absolute bargain! Great plugin that does exactly what is says. It stays updated so integration with eBay is not an issue. Support when I had questions has also been great, recommend! WP-Lister pro has been an indispensable tool for our team. We’re running multiple sites in multiple countries and we’ve seen our sales increase dramatically. The support team is great at answering questions. This software earned back it’s cost immediately for us. Great product and support. I’ve been using it since it was first in beta stages. Love it more all the time! Thanks again! Extreme powerful product. It works very good but the best thing is the support. Matt and his team are always ready to think along to get the best results. WP-Lister has given us a tremendous competitive edge over other sellers in our industry. We dabbled with Ebay for over 15 years but WP-Lister allowed us to quickly deploy over 10,000 products in an evening and seamlessly manage inventory and handle shipments. Support has always been wonderful and they LISTEN and implement your feedback. Love you guys! Amazing plugin. Never though this plugin would get me so far. I sell on eBay and Amazon for a living and this plugin has made things so much easier for me. Syncing my website, eBay and Amazon is a huge task and this plugin achieves this marvelously. In my situation, the price was totally worth it. Looking back, it’s just a no-brainer! Would recommend to anyone. I’ve been using WP Lister since it was released about 3 years ago and the support has always been outstanding. I’ve even had help with bespoke customisations for no extra charge and these customisations have also become options in future releases. This plugin is amazing…takes some time to set up properly but at that point it just operates cleanly and smoothly. Also most importantly, the customer service is great! Every issue is taken care of no matter how many times I need to ask a question. Would highly recommend. Absolutely marvelous plugin. Initially had some issues as the listing kept failing, slowly picked up the issue and worked on them. May be some video you tube , especially how to list variation on amazon would go a long way. On the whole a good plug in and cheap. great customer service. Great Support! Helped us with a lot of stuff, super fast reaction on our questions and we got help with stuff that even where not part of the plugin. Great stuff, great product, great service and support! Wow, I had to scroll through a lot of positive reviews to get to where I can add mine! …not surprising as the whole experience with this WP Ebay Lister plugin has been really great. It works like a real thoroughbred once one sets it up correctly …and whenever and wherever we needed help, the support has been willingly, patiently and helpfully given. High five stars! 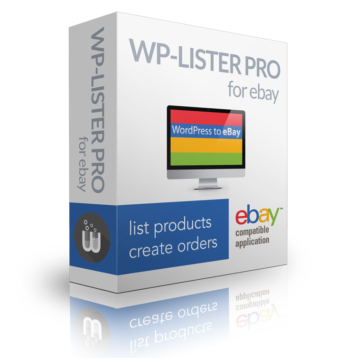 WP Lister Pro for eBay has made it so easy to keep my inventory in sync between woo commerce and eBay. I wouldn’t want to go back to manually updating the stock levels! It is a great time saver and highly recommended. Support is also excellent, although I’ve only had to use it once because it just works! This plugin is simply amazing. So powerful and so many background tasks going on inside the plugin. The support is great and I haven’t had to wait more than 24 hours for a response. WPLab is amazing. Every time I have an issue they are so quick to respond and rectify any problems that I have. Great Plugin. Support is great also and they are quick to respond. We use WP-Lister for eBay and somehow became that customer with many questions. The support provided from the WPLab team was amazing especially given the questions we had. The WPLab engineering team added functionality that we were looking all over for and could not find in ANY eBay product lister, all for no cost or expectation that we would be purchasing the Pro version. Needless to say, although we were satisfied with the free ‘Lite’ version of WP-Lister, we purchased the Pro version due to the support received. Purchase this software you will not regret it. I’m a WP Lister for ebay Pro customer. Amazing customer support, each time I’ve had a question they’ve responded within 24 hours. Highly recommended! This plugin has saved me literally hundreds of hours of coding. We use both the Ebay and Amazon WP lister plugins together. It works seamlessly within the WordPress environment we are used to. We have found support staff responding within 12 hours of our request even on weekends. I’ve needed to dig in to some of the code to integrate some of our in house database scripts alongside of WP Lister and found their code to be clean and readable. Great plugin. Literally made my clients hundreds of thousands of pounds over the last year! Makes listing products on eBay super easy and shipping orders out even easier. Fantastic plugin – I highly recommend it. It is so intuitive that in the nine months I have been using it, I have only needed to ask support one question, and they responded within hours with a reply that was very helpful – impressive! Incredibly fast and knowledgeable support team! These guys know their game for sure. The plugin is very stable, and although eBay is playing with their rules all the time, WP Lister is always on top. Support is always fast and they always go the extra mile. Happy customer! Very impressed with the plugin, it’s made the job of selling from my website and on ebay via my shop a lot more streamlined and systematic. I have only been a user for a day, but got the plugin installed and configured easily enough, most of it is intuitive and if you take the time to work through the implementation step by step it is relatively straightforward. The only problem I had (and it was my fault), was with the free shipping, I put the options in the wrong order – but a quick email to support, and within 20 minutes I had a reply and was able to sort it easily and quickly. Mega impressed with the support! A fantastic plugin that syncs my large WP site inventory with eBay with the click of a few buttons. Took a little tinkering but the support was also fantastic. Highly recommended. I’ve been using this plugin the past year and delighted to renew again for another year. Support has been fantastic and the plugin has certainly helped me and other staff members with streamlining ebay adverts and orders. Thank you wplab for inventing this. This company has excellent customer service. I purchased the Import from Ebay product and had some issues getting it to do exactly what I needed it to do. The team patiently worked with me on what I needed, and went into the backend of my website to make the desired changes. I would definitely buy from this company again. An excellent product backed up by excellent support. I had rather unusual issue relating to templates for some products and their support team logged into my site and resolved it very quickly with some changes to CSS. I was very impressed. 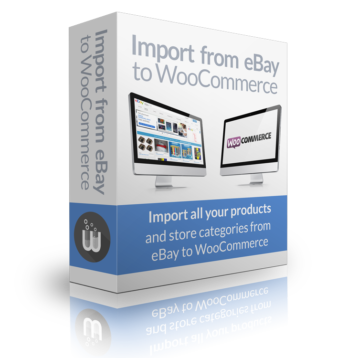 A perfect plugin which allows me to post woocommerce products to ebay with a few clicks! No longer have to deal with buggy ebay interface!! Our family company has been selling on eBay for fifteen years. In those fifteen years, the e-commerce wold has change a lot. In the last couple years, we have decided to start moving away from eBay by starting our own website. However, our website will never have the number of visitors eBay does. So, we still want to list our product on eBay, but we want the website to be the hub. We searched far and wide for a inventory management platform that would keep track of our listings on our website and push listings to eBay. We never thought to check if there was a plug-in available for our website that would do everything we wanted, and more. After several failed attempts with inventory management platforms (poor performance, poor listings, and high costs), we came across WP-Lister for eBay. Our company and staff are blown away by the plug-in. It is everything we needed and more. It is simple to use, produces beautiful listings, and sends all of our information. I can’t believe how it translates our attributes and values into item specifics on eBay. On top of the great performance, the support has been incredible. They are quick to respond, answer questions, and help fix any problems that arise. I couldn’t recommend this plug-in enough. When you have a shop with 10 000 products, such a plugin is necessary. I took the “pro” version, i was first scared as i tried so many plugins in the past which had only problems but also missing important features. WpLister is the best that i have tried. I am very demanding and it meets all my needs, i am so thankfull to them! Amazing support and service by Menchie Santamaria. She was Super. I believe service and support is most important because issues always occur but the way one responds is what makes a product superior..like WP lister. We’ve been using WP Lister for eBay for a good 6 months now, we found it to be so helpful and convenient we ended up purchasing the Amazon one as well. This plugin gives you A LOT of options. The support team is phenomenal! Any issue you have, big or small, they respond and are very patient, informative and helpful. They don’t hesitate to get their hands dirty – they have no problem editing your code for you to help you resolve your issue OR to add on additional settings that you feel your listings require. They really care about their plugin and users. We were using Channel Advisor before switching over and it was the best decision we made. There’s no competition! Thank you so much for this plugin and for your awesome support team. We are extremely satisfied! Having moved across from a far more expensive solution. I was amazed just how good WP Lister is. We had concerns about setting this up with eBay and bringing the sales across to WooCommerce without effecting the listings that were already in place on eBay. We found the ‘Import from eBay’ add-on to do this with no problems at all. All orders are now synced through WooCommerce for us and all stock is updated across all platforms. We asked quite a few questions (sorry guys) before buying but all the questions were answered almost immediately. The software does an amazing job and anyone looking for a system that simply works cannot go wrong with this. So good we also went ahead and got the Amazon plugin too. I came from a plugin with monthly payment plan to list ebay and amazon products. After they raised the monthly payment i had too look for different plugins and found this site. This is definitely the best plugin on the market! And by far the most cheap one! Very good. Going to buy amazon listing plugin, too, soon. I’m loving your plugin and your support is awesome too. My eBay listings look great and you saved me tons of time. I’ll use my saved time to more effectively to build my business than the tediously uploading to eBay, and yet, eBay uploading is magically happening in the background, what a gift! Thank you!